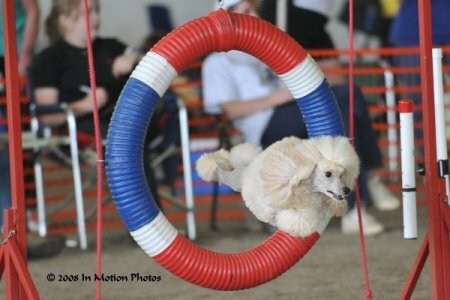 Joey continues to enjoy the agility ring! His favorite obstacles are the dog-walk and A frame. I enjoy sharing his awesome photos, he makes me so proud. 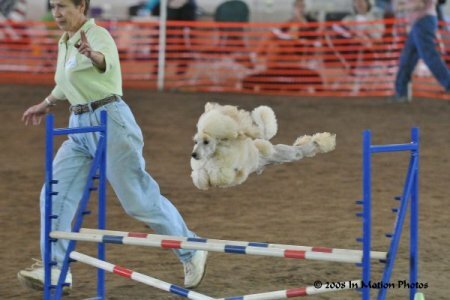 I know that Joey really loves Agility. He dances at the back door every Monday night as I prepare his treats for Agility class. 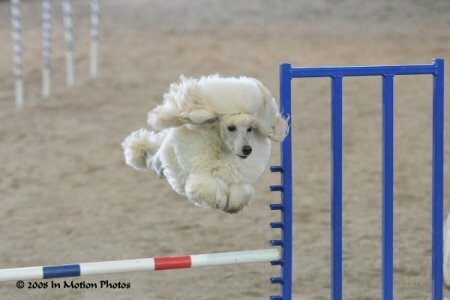 I am not sure if I am hooked on Agility yet, I love training in obedience best. Joey really struggled with becoming overwhelmed in new environments, which is why I have waited so long to get him going on his obedience work. I am more concerned always that my dogs are really enjoy the work as much as play. I think that if you force any dog to work when they are really stressed, you risk losing your dogs trust and no titles are worth that. But this week-end was really a break thru for Joey. For the first time, ring side he had his tail up and wagging, greeted total strangers to my amazement and did not get stressed with strange dogs around him. He was also able to do little bits play of heeling while we waited ( heeling in public a real break-thru there!). It was cool enough so I kept him in his crate in the car most of the day instead of crating him ring side and every time I checked he was sound asleep, another first! I think our boy Joey has turned the corner, and is becoming a man (chuckle). I plan to continue taking the agility class, and will of course, trial him to get his last leg for a NA and 2 legs for the Novice Jumpers titles. But my plans are to really start working on his obedience, sometimes Agility is offered at Obedience trials so we will continue to have fun in Agility and see how far we can go. My near 60 year old body really struggles to run fast enough to keep up with and ahead of Joey the jet propelled little mini. When you get the jumping pics of Joey, you will see , if he had a blue cape on he would look like superman flying high over the jumps. So I will continue to run him as my body allows. I am now working on learning how to direct him on the course without me having to run so much.